American woodcock launches into a spiral courtship flight at dusk. A bald eagle breaks the lake surface with a quick grab at a fish. Colorful dragonflies zip along the water’s edge searching for food. A mink hops along an ice-covered creek disappearing into chilly water. Wood warblers sing and feed among the treetops. White-tailed deer slip from the shadows and stare curiously at an approaching hiker. Sparrows, finches, jays and cardinals crowd bird feeders on a snowy day. Trout lilies add a bit of brightness to an awakening spring forest. Where does all this and so much more happen on just under 1,000 acres, tucked among the rolling farm fields of northern Montour County? It’s PPL’s Montour Environmental Preserve. Developed around a 165-acre reservoir, the preserve is a unique public resource. The preserve serves a function similar to a state park — it provides opportunities for visitors to enjoy a variety of educational and recreational pursuits in the outdoors. The key to Montour Preserve’s appeal is stewardship of natural resources. Forests, fields, wetlands, creeks, ponds and a lake provide both educational and recreational opportunities. Conservation of these resources requires helping hands from both volunteers and experts. The preserve relies on both. Scouts build bird houses and help clean the 100 bluebird nest boxes scattered around the property. A local bass club constructs fish structures to improve fish habitat in the lake. The PA Fish and Boat Commission provides technical assistance on design and placement of those structures and periodically surveys the fish population in the lake to make management recommendations. The PA Game Commission offers technical assistance to improve habitat for both game and non-game species. Currently, land outside the preserve which is managed by preserve staff, is part of the Central Susquehanna Wild Pheasant Recovery Area. Efforts are also underway to improve habitat for American woodcock. Woodlands are managed to improve tree stand health, provide quality wildlife habitat and be asthetically pleasing. One particular woodlot dominated by sugar maples, Montour Preserve’s sugarbush, was designated a natural treasure by the Northcentral Pennsylvania Conservancy. Other areas of the preserve are managed for native wildflowers. A pollinator garden, designed and developed by the Montour County Master Gardeners, demonstrates how any homeowner can improve habitat for bees, butterflies and beetles. The Central Susquehanna Valley chapter of the North American Butterfly Association maintains a garden designed to attract butterflies and moths. Lake Chillisquaque is the centerpiece of the preserve. Picnic areas on the east and west shores of the lake offer a pleasant setting to enjoy a bag lunch or a cookout. Several pavilions allow larger groups a sheltered place to gather. Pavilions are free on a first-come-first-served basis or can be reserved for a fee. Each offers water, electricity and a charcoal grill along with restroom and playground facilities. On a typical summer day, you are likely to see the brightly colored kayaks and canoes dotting the lake as visitors paddle around enjoying the sights and sounds. Fishing boats carry anglers who try their luck at catching bluegills, crappie, yellow perch, bass, northern pike or catfish. A boat launch is located on the east side of the lake. For anglers who do not own a boat, a fishing pier provides access to deeper water. For those who enjoy more active recreation, Montour Preserve offers 14 miles of trails. These range from a short ADA compliant trail to a Braille trail for the sight-impaired. Interpretive trails of just under a mile showcase natural features of the habitat, conservation issues or local history. The longest trail circles the lake, following the rolling terrain and ending at just over four miles. A side loop extends the hike to slightly over five miles. One unique trail, the Planet Walk, reaches from the sun to Pluto on an earthly scale of three-quarters of a mile. If you prefer a trip back through time, fossils of critters that lived long before dinosaurs roamed Earth are hidden among the rocks of a large fossil pit. This is one place on the preserve where collecting is permissible. Be sure to bring a sharp eye and some patience to find fossils. A bottle of water on a hot day is almost a necessity to stay hydrated. With over 200 species of birds recorded at Montour Preserve, there are opportunities to observe both common and uncommon species. While seeing such unusual birds as white pelicans at the preserve is not an everyday occurrence, rarities do appear from time to time. 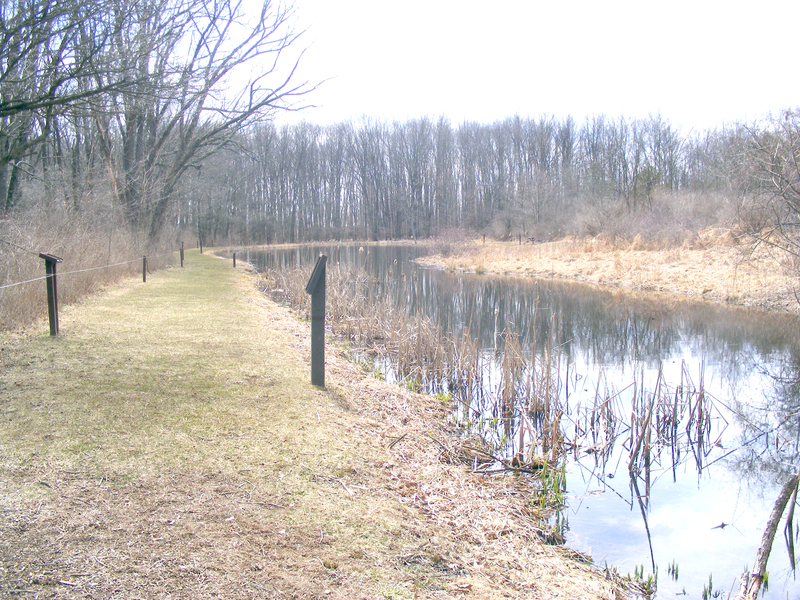 Two wildlife observation blinds allow a closer view of waterfowl and other wildlife along the lakeshore. These are great places for birders or nature photographers, especially during spring and fall. Because the blinds are located in a wildlife refuge within the preserve, you need to secure a permit from the preserve office to use either blind. PPL owns and manages land outside the preserve that is open to hunting during regular Pennsylvania seasons. Deer, turkey and small game are favorites of local hunters. Because of the pheasant recovery program, hunting areas are closed part of the year until pheasants reach self-sustaining populations. Montour Preserve’s Visitors Center houses a variety of exhibits of Pennsylvania wildlife and cultural history. A cross-section of the lake in one display provides a look both above and below the water at fish and waterfowl. Birds of prey hang on quiet wings overhead and mammals in their typical habitat populate an exhibit of several habitats along one wall of the center. Hands-on displays allow visitors to interact while learning something about the animals featured there. A display of Native American artifacts and treasures from the old homestead offer something for the history buff. If you want to learn more about nature and the outdoors, consider attending one of Montour Preserve’s educational programs. These are free and open to the public and include trail walks to explore seasonal events, indoor presentations on nature, outdoor skills or cultural history. Some programs are aimed at specific age groups while others are designed for the entire family. Possibly the preserve’s best-known program is maple sugaring. In late winter each year the sugar shack opens, maple trees yield a portion of their sap and the delicious odors of boiling syrup waft through the woods. Two educational maple sugaring open houses introduce visitors to this North American tradition through folklore, history a film and live demonstrations. 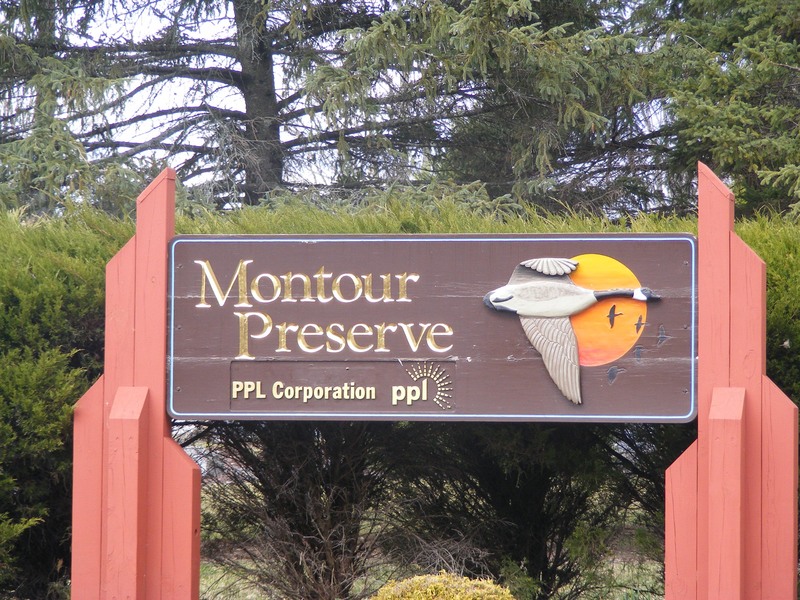 Montour Preserve serves as an outdoor classroom for visiting school children from local communities. More than 3,000 students learned about some aspect of the environment at Montour Preserve last year. They walked on trails, searched for fossils and enjoyed a picnic lunch overlooking the lake. College students conduct field studies and practice environmental education skills as part of their degree programs. ~ by zaktansky on September 3, 2013. This entry was posted on September 3, 2013 at 11:04 am and is filed under Nature, Youth Related.You can follow any responses to this entry through the RSS 2.0 feed.You can leave a response, or trackback from your own site.